So what if we lived under constant threat of nuclear winter, Terminators and hairspray fires? The ’80s gave us some cool stuff. We were climbing out of the doldrums of the previous decade, and the automotive landscape reflected that optimism. Things were becoming modern, and not in a cartoony George Jetson way. This was real progress. Fuel injection replaced carburetors, turbochargers had become more than a novelty, and performance was back. 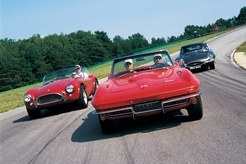 Take the Corvette, America’s sports car. By 1975–not exactly a high-water mark for performance–output had dipped to a pitiful 165 horsepower from a seemingly sufficient 350 cubic inches. The new-for-1984 Corvette produced 205 horsepower from the same displacement, and by the end of the decade that number had rocketed to 245. Omigod! Cars also started to look modern. In 1983 the U.S. government struck down a 44-year-old law requiring automakers to use standardized round or square headlamps. A creative yoke had been lifted off automotive stylists, who responded with aero-pleasing shapes for everything from our favorite supercars to rank-and-file peoplemovers like the Ford Taurus and Honda Accord. More progress: During the ’80s, integrated “aero” bumpers replaced those chrome battering rams, low-profile tires became commonplace, and aluminum wheels weren’t limited to performance cars. Which cars from this totally tubular decade best defined our scene? Here are our 16 favorites. Then: Porsche’s much-lauded 911 may have made its debut for 1965, but it really shined during the ’80s–despite the company’s plan to kill off the model. Bulletproof 3.0- and 3.2-liter engines carried the 911 from 1977 through the end of the ’80s, and these cars came after the switch to galvanized steel bodies. Need even more excitement? Go for the Turbo model. Now: Slip behind the wheel of an air-cooled 911, and suddenly you’re at Daytona, Sebring or Le Mans. Those giant VDO gauges just look so good at night. Extra bonus: The Porsche Club of America will welcome you with hugs, kisses and, if you’re nice, a back rub. Advice: Up until recently, an ’80s-era 911 was a deal. Those days are quickly coming to a close, as prices have been spiking. Our advice: Don’t wait any longer to relive those high school fantasies. 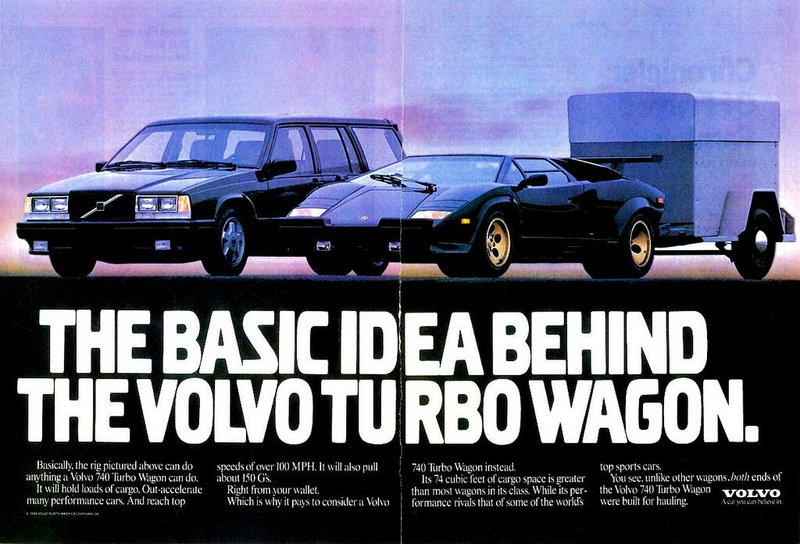 A good Turbo, recently a $40,000 or so purchase, is now a six-figure car. Prices for naturally aspirated cars have been on the rise, too. 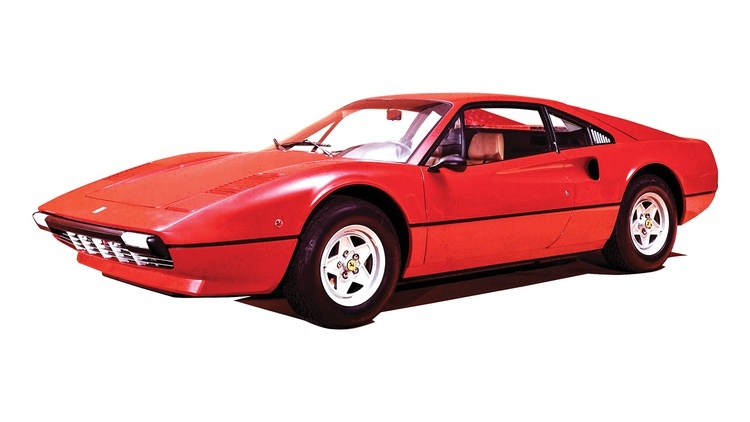 Then: Though it debuted in 1975 as a Dino replacement, the 308 was the epitome of the 1980s Italian sports car. Pininfarina made the car visually striking, but Thomas Magnum made the tube-framed, V8-powered Ferrari an icon. Early cars–the first 808 cars built–feature fiberglass bodies, while the later ones are formed in equally beautiful steel. Now: The 308 is still a beauty after 40 years, but time has caught up with reality: Its reputation as only a so-so performer in the world of supercars seems even more overstated in these days of 300-horsepower minivans. Still, there’s not much like the sound of a small, overhead-cam V8 winding through the gears. Advice: All Ferraris will likely appreciate at some point, and 308 prices have been climbing steadily. Maintenance is the key to value for these cars, and they can be maintenance-intensive. Later models came with those odd-sized TRX tires, further complicating contemporary operation. 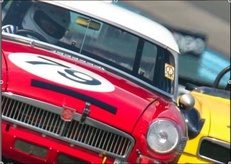 Then: It won showroom stock races and autocross championships, all while burning a gallon of gas every 30-plus miles. Unlike some of its competitors, the 1585cc, 16-valve Honda got by with just one cam and a relatively low 6500-rpm redline. However, the CRX’s light weight and A-arm suspension made it an exceptional all-around performer. Now: Anyone who got rid of a good CRX Si more than 10 years ago deeply regrets it. Hopping in one these days is like going back in time to your fondest memories, except they really are just as good as you remember. Advice: If you want one, get it now while you still can. These cars are mechanically solid but fragile everywhere else, and someone needs to preserve these treasures. Honda paint from the era was not exactly heirloom-quality, so they’ve all been repainted. And rust is an issue–around sunroofs, rear fenders, and pretty much everywhere in cars from moist climates. Lots of botched engine swaps out there, too. Shop carefully. Then: Engaged in a perennial war with contemporary Camaros and Firebirds, the seemingly inferior 5.0-liter Mustang almost always prevailed in the many magazine face-offs of its day. 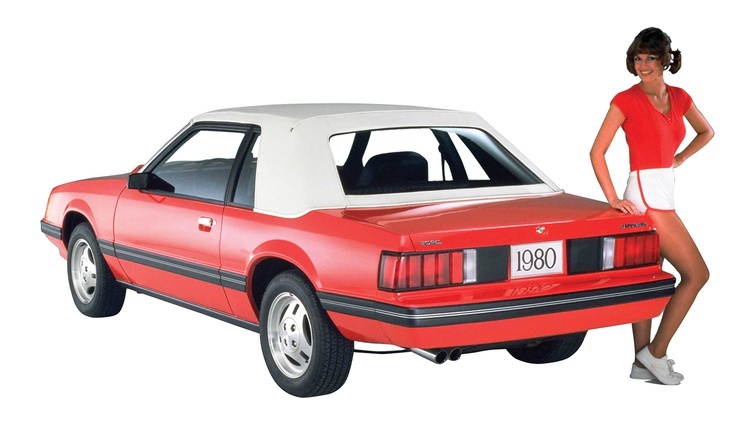 Chevy and Pontiac offered factory specials, but the Mustang was easier to obtain in stripped-down trim. Plus, the fact that cops liked it meant the highway patrol version always had some nice bits to swap in. Now: The roller-cam 5.0 offered from 1986 and up is still a decent engine, and the bodies have aged better than their GM rivals. Late Model Restoration and other shops offer a huge supply of Fox-chassis restoration parts, so ownership is easy. Advice: Stay away from the pre-1986 carbureted cars. Anything else is a great starting point for a performance project. You’ll have trouble making the rear suspensions handle with OEM control arms–they’re very prone to binding and snap oversteer–but solutions are readily available from a variety of sources. Don’t forget the turbo Mustang SVO, too. Then: The original Honda CRX Si doesn’t sound like much on paper: torsion bar front suspension, beam axle rear and just 91 horsepower. 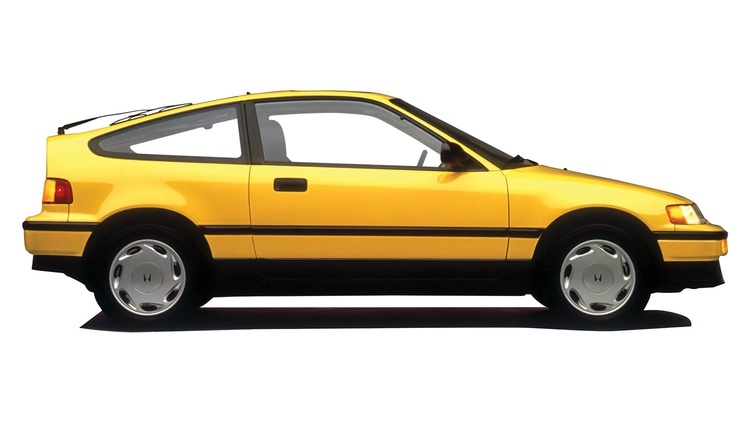 But with a curb weight of just 1840 pounds, the CRX was a scorcher. How fast? 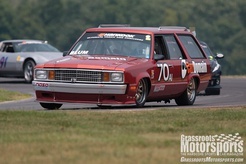 For a while, the SCCA Solo department famously bumped the car all the way up to A Stock. Now: The original CRX reminds us that simple can definitely still be fun and that less than a hundred horsepower can still be plenty. Need a CRX with a backseat? Chase down a 1986-’87 Civic Si. Advice: These cars weren’t designed to be family heirlooms, as evidenced by the brittle plastic front fenders and flimsy interior bits. Then there’s the threat of rust. 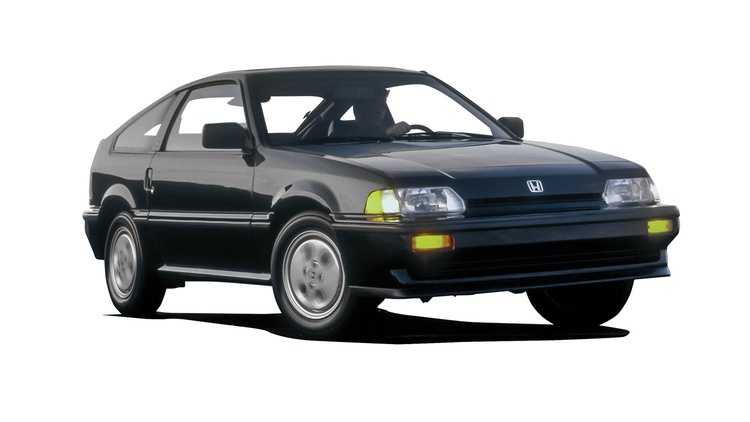 Soon–like, really soon–we’ll see a premium paid for a clean CRX Si. Only the 1985 cars feature the sunk-in headlamps, making them even more special. Then: In 1970, the Datsun Z-car demoted the traditional British sports car to second-class status. A decade later, the RX-7 picked up that torch and ran with it. 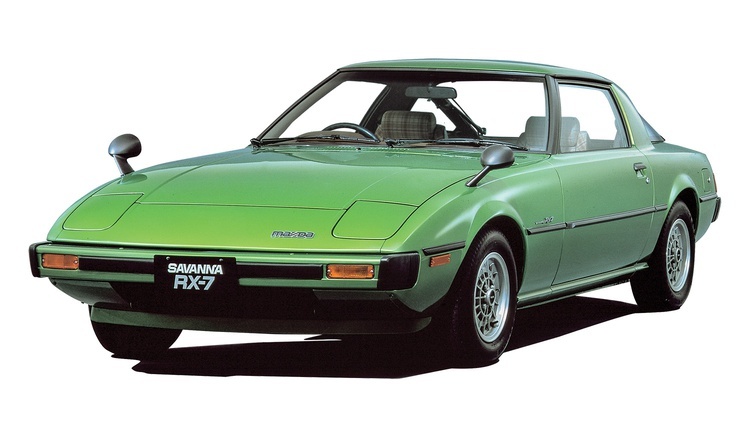 And not only did the RX-7 look fresh and modern, but it featured something unique under the hood: a rotary engine. Now: Despite all of those IMSA titles, a stock RX-7 is not exactly fast. In fact, like many sporting cars from the ’80s, stock performance could best be described as “slightly lacking” by today’s standards. Know what? Doesn’t matter. The RX-7’s engine revs smoothly, the body lines still look great, and this Japanese classic exudes a charm usually reserved for Britain’s best. Advice: Collectors tend to gravitate to the first or last models of a model run, so we’d have to recommend either a first-year car or an RX-7 fitted with the optional GSL-SE package. 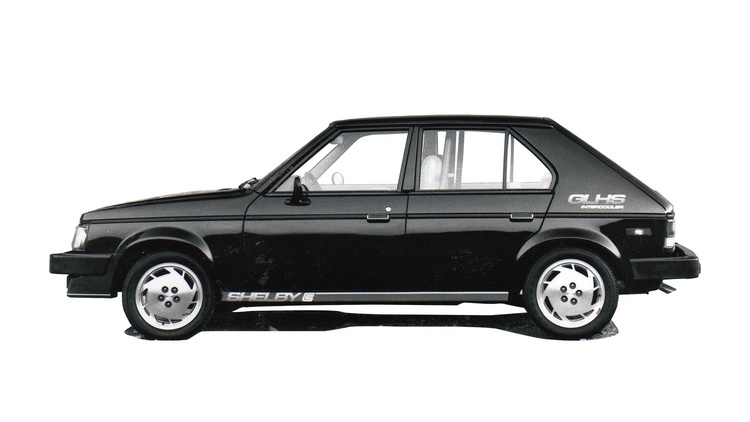 Offered for 1984 and 1985, the GSL-SE delivered more power, more footprint and more brakes. 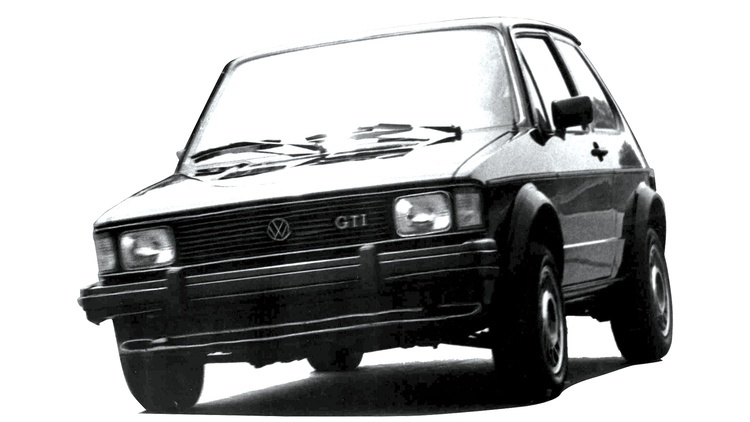 Then: By the time the GTI finally came stateside, the VW Rabbit had been in production for nearly a decade and was readying for its final descent. Volkswagen didn’t make us wait for its replacement–we got a new Golf as well as a new GTI for 1985. Two years later, they even added the more powerful 16-valve GTI to the roster. Now: Everything that made the GTI so cool back then holds water today. Tight chassis paired with a willing engine? Check. Practical hatchback cargo hold? Yep. Red badges and trim? Sure. The future was so bright, we had to wear shades. Advice: If you want an eight-valve Golf GTI, seek one built before 1991. Otherwise, you won’t get the GTI-specific big brakes or sportier suspension. 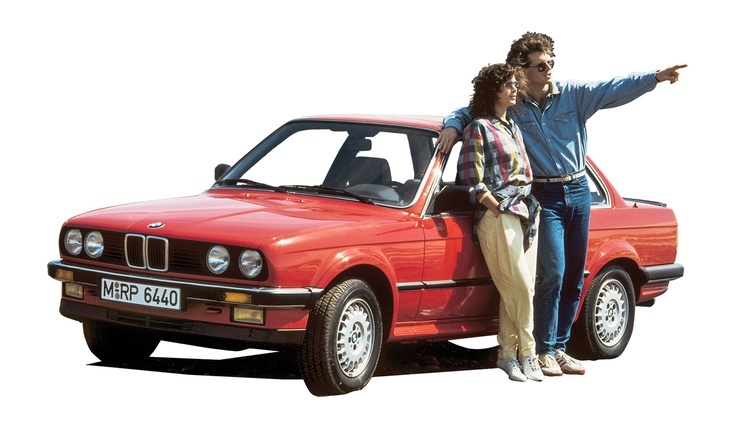 Then: BMW entered the ’80s associated with a damned word: yuppy. If you were young and upwardly mobile, then you were issued a BMW along with your MBA. Once BMW shelved their fuel-efficient eta engines and turned the 325e into the 325i, however, we really had a keeper for the ages. The wide-bodied, homologation-ready M3 only sealed the deal. Now: The E30-chassis 3 Series represents the last of the early, traditional BMWs. The cockpits are open and airy, and the chassis works incredibly well on track. Aftermarket support is still huge, and the cars are popular with so many enthusiast groups, from NASA and SCCA road racers to hotrodders and even the stance crowd. Advice: Everyone wants an M3, but those have become museum pieces for a good reason: They’re street-legal Group A Touring cars, down to the super-cool box flares and high-winding engine. Can’t afford one? A standard 325i can be just as fun. Then: When Lotus and Dan Gurney are both on the roster of developers for a single sports car, it’s no surprise when the result is something special. The MR2 brought mid-engined dynamics to the masses in a way that the X1/9 (slow and unreliable) and original Fiero (slow and boring) never could. Now: Thanks to exceptional ergonomics, original MR2s are still a joy to drive, autocross, and run on track. The 4AGE engine’s 113 horsepower seems quaint by modern standards, but the 7500-rpm redline will still put a smile on your face. For a bigger smile, check out the supercharged version offered for 1988-’89. It produces a then-staggering 145 horsepower. Advice: Good examples of normally aspirated cars are still out there, but prices are coming back up. Expect to pay $3000 or more for a good one. Plastic interior bits are prone to dry rot and are somewhat rare. 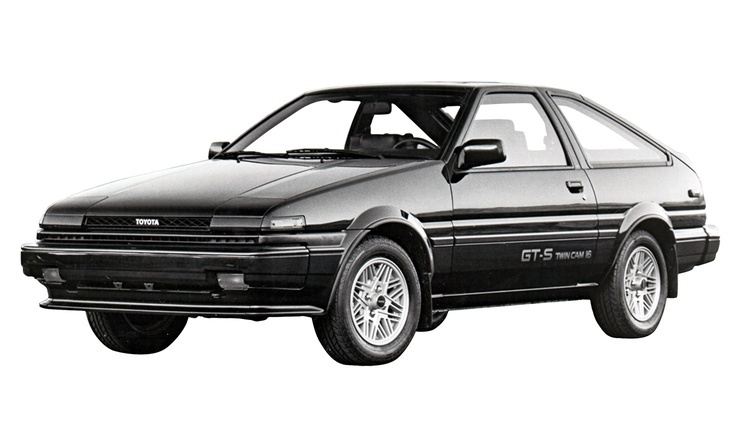 Then: In GT-S trim, the AE86 Corolla is the car that introduced America to Toyota’s gem of a 1587cc 4AGE engine. It was also one of the best of a dying breed of four-seat, rear-drive sports coupes that were essentially miniature Asian ponycars. 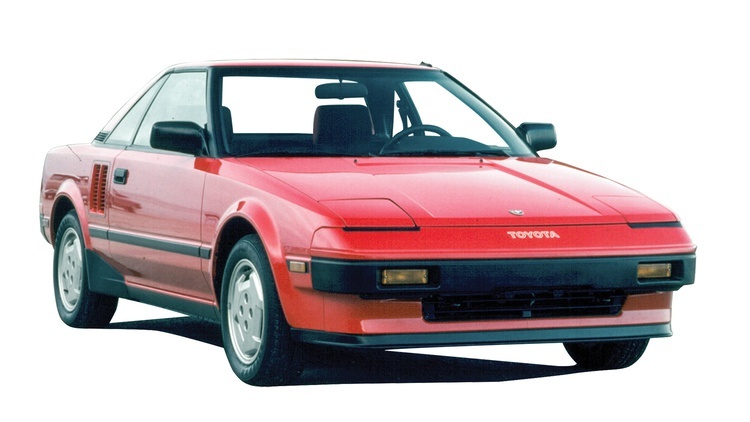 Now: Like the MR2, the Corolla is still a good driver due to its stellar ergonomics–if you can find one, that is. Underappreciated in their time, few GT-S Corollas were preserved, and those that lived are precious commodities in the drift and Japanese car scenes. Advice: If you want one, prepare to pay handsomely for a used Corolla. Prices for good cars will reach five figures before long, and if you don’t believe us, we’ll be happy to take that bet. Quality was typical mid-1980s-Toyota good, but age has dried the plastic bits and they’re all but impossible to find. 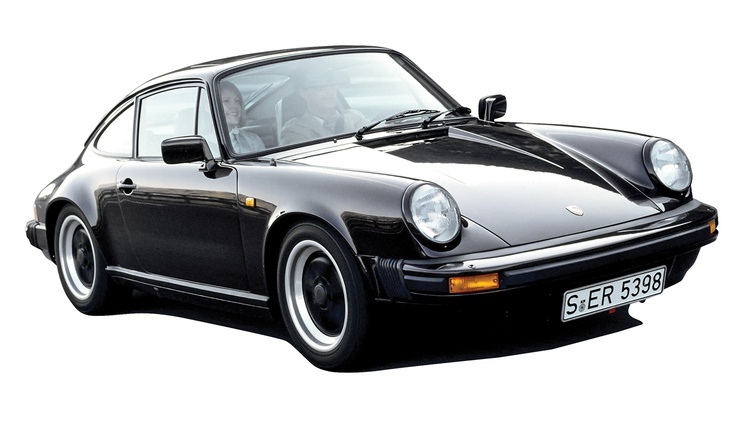 Then: The 911 wasn’t Porsche’s only starchild of the ’80s. 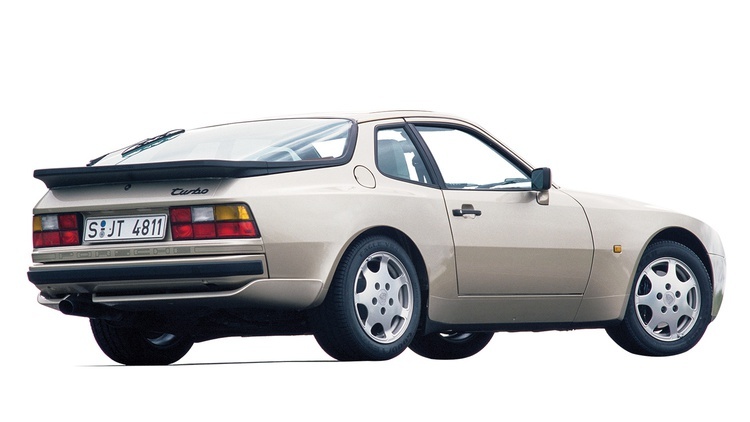 You and your Members Only jacket could stroll up to the local Porsche dealership and pick up a thoroughly modern 944. The engine? Up front. Its cooling medium? A strange new substance known as water. Porsche kept releasing faster variants throughout the decade, culminating in both high-output turbo and non-turbo models. Now: Considering that the 944 lineage goes back to the 924–brand new for 1976–the 944 has aged well. The body still looks modern, and the driving experience continues to captivate. 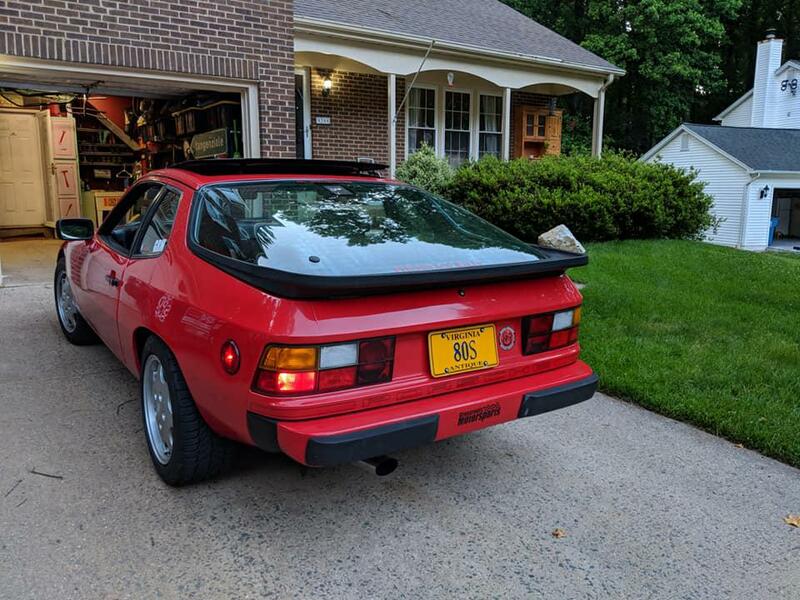 The 944 received a major interior redesign halfway through 1985, though, and we’ll concede that the earlier dash does have a VW Rabbit vibe to it. Advice: Although convertibles were offered, let’s bypass them–they were just too weird-looking and never amassed a real following. Among the rest, choose your poison and find a good example. Personally, we’ve always been intrigued by the 16-valve 944S. Then: The ’80s were a trendy time of big hair, leg warmers and Swatch watches in all sorts of neon colors. Oh, and we also had hot hatches. 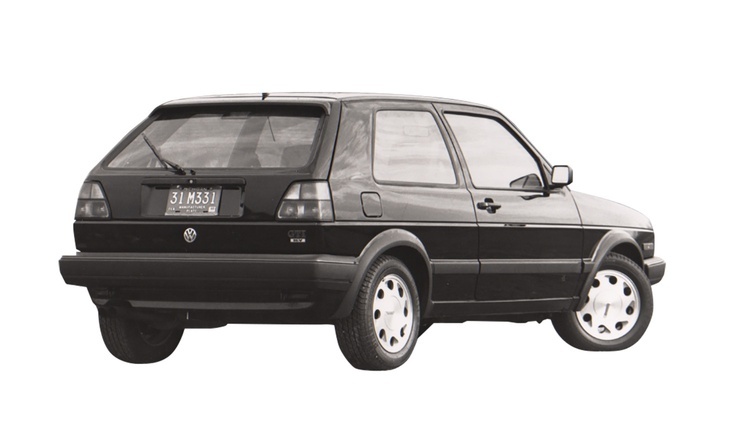 Just about every brand offered one, but the quintessential model has to be the Rabbit GTI. The recipe was simple: Take a small, three-door hatchback, stiffen up the steering, and add more power. The car was first released to the European market in 1975, but nearly a decade later American enthusiasts finally got a taste. Now: The Rabbit is a child of the ’70s. It’s not super refined. It is effective, though. Where the ’80s gave us plenty of overly produced, watered-down corporate rock anthems, we also had some great punk rock. The GTI is the automotive version of Black Flag, Minor Threat or Bad Brains. Advice: Do you seek one in classic black or ever-fashionable white? How about silver or red, which were also on the palette? Honestly, color shouldn’t be a main concern: Just hope and pray that you can find one of the few remaining stock examples. Then: GM’s third-generation pony car turned the proverbial mullet-mobile into a genuine–for the period–American GT. Okay, you’d still look just fine driving one with some acid washed jeans and a Kentucky waterfall, but port injection, five-speed manual transmissions and all-wheel-disc brakes were unusual and welcome additions for the era. The rare factory hotrods (1LE, WS6, etc.) won a few showroom stock races and showed that manufacturers cared about road racing. Now: They didn’t exactly age well. T-tops leaked, the wheezer 305s all had valve-guide issues sooner or later, and the heavy bodies eventually sagged their way into maturity. Still, despite having struts in front and a live axle in the rear, they can be made to handle surprisingly well. Advice: There’s actually some bang for the buck here, because we’re not talking about too many bucks. Most Camaros and Firebirds of this era have achieved full groder status by now, but a well-preserved example could be turned into a fun weekend toy. Parts are plentiful and cheap. 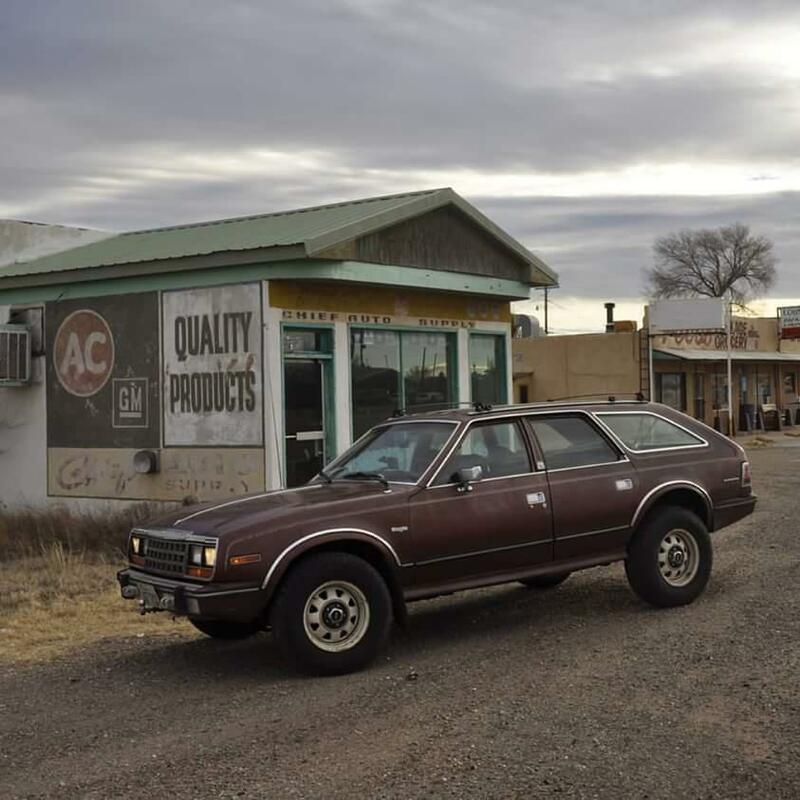 Then: The annals of history will likely not be kind to the Dodge Omni. Like ALF, it’s an acquired taste. However, add a turbocharger, and things get interesting. Allow Carroll Shelby–yes, the Cobra guy–to have his way with it, and then things get really, really interesting. Welcome to the one-year-only Shelby GLH-S. This turbo beast produced a staggering 175 horsepower, enough to embarrass the day’s pony cars–assuming the driver didn’t torque-steer into oncoming traffic. Now: Shelby only made 500 examples. Even if you find one, are all of the special bits present, down to the sticker that extended the speedometer’s range from 85 mph to a buck-25? Advice: Everything Shelby touched seems to have turned to gold. You can’t buy a real Cobra for much less than a million dollars, and the Sunbeam Tiger finally crossed the six-figure threshold. Will the Shelby Dodges ever capture that magic? It hasn’t happened yet, but there’s a reason why you never sold your favorite BMX bike, right? Then: Even when the Fiero was new, it was kind of apparent that it wasn’t done cooking. It was first available only with a four-speed for the manual box, and the 2.5-liter “iron duke” four-cylinder seemed more at home in a mail truck than a sports car. A complete suspension revamp for 1988 transformed the Fiero into a legit contender, and a five-speed and torquey 2.8-liter V6 gave it a unique powerplant in a world of high-revving four-cylinder sports cars. Now: Early cars are still mostly crap, but there are enough parts out there to make any of the suspensions work. Like most GM cars of the era, time has not been good to the soft bits. But the 1988 Formula and GT still turn heads on the road. Advice: Just stay away from early cars. 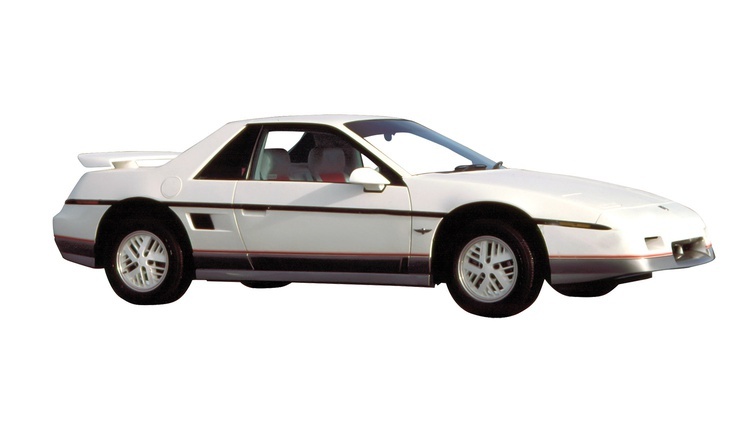 If you want a Fiero, you want a 1988 GT or Formula. They’ve aged poorly, and the big aftermarket companies haven’t embraced them (despite production numbers exceeding 350,000). Still, several large independent shops have taken up the cause. The Fiero is a fascinating piece of GM history, and thanks to some enterprising enthusiasts, it’s no longer an orphan. Then: It was revolutionary when it debuted in 1984. It was also one of the best-handling cars in the world, mostly due to a rock-hard Z51 suspension option. Port injection replaced crossfire in 1985, and things just got better from there. 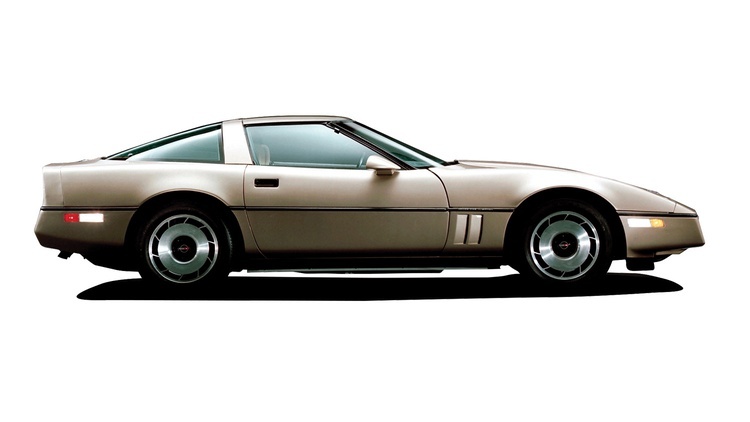 By 1989, the Vette had 17-inch wheels and a six-speed manual transmission. Now: The chassis handles admirably to this day, but the suspension stiffness took its toll on the fiberglass body. Even late C4s are usually rattle traps. Still a heck of a platform for sporting use, though. Advice: Special editions like the Grand Sport and ZR-1 are creeping back up in price, but most C4s probably aren’t investment cars. An LT1-powered Vette (1992 and up) in good shape will probably not depreciate much more, though, so it’s kind of a performance bargain–if you can live with the datedness. Join Free Join our community to easily find more BMW, Chevrolet, Ferrari, Ford, Honda, Mazda, Pontiac, Porsche, Shelby, Toyota and Volkswagen articles. The E30 couple put each other's belts on. I love my 80's rides. Got 2 AE86 and a 280zx. So fantastic. Loved my '87 CRX Si...but life got in the way and I didn't have any mechanical friends...sold it. I've got an 85 and an 88 XR4Ti now...and am now more mechanically inclined, which apparently is a prequalifier for owning these cars. Then there was the original GTI and the GLH. 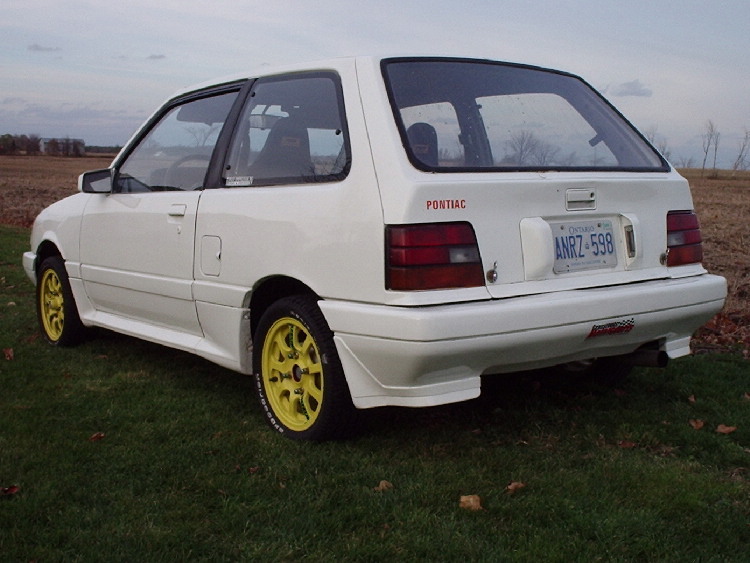 The whole hot hatch thing started int he 80's. I got to drive an original GTI not long ago and I had forgotten what a fun car that was. What about an 87 M6? My personal bias is that the 80's (mostly the 2nd half) were basically the best years for the type of cars i've learned to like. Cars were light and reasonably simple and were 'modern enough' in the sense that if in proper shape they'd start and run perfectly and could be driven anywhere, many times with exceptional economy. Fuel injection, the prevalance of boxes and wedges, and manuals weren't even becoming rare yet! The fox chassis is my favorite platform so I'm glad it made the list. I prefer the g body over the f body but I can see how the f body is a much sportier platform. I would have thrown the Saab 900 SPG (or aero) in there. FWD. Turbo, room for 5, funky looking body. What is there not to like about the troubled swede? And were not too modern so a backyard mechanic can work on them. As a 3 pointed star fanboy the 80s were great! Spot on, though I'd take off one of the CRX's and replace it with the the Acura Integra (so as not to have Honda overkill)....or maybe even the Prelude Si.. When I was a teenager in the 80s, those were the two cars I longed after. I always thought he CRX was more of a "chick car." even though it was very good. EDIT: Brain Fart....yes the DSMs were 90s not 80s. The DSMs didn’t arrive in the 80’s. They were 90’s babies. IDK why but for some reason I read the title of the article as "Best Cars of the 80s-90s"......ugh. good thing it's Friday, clearly I am burned out. Instead of the DSM triplets how about the Evo 0? 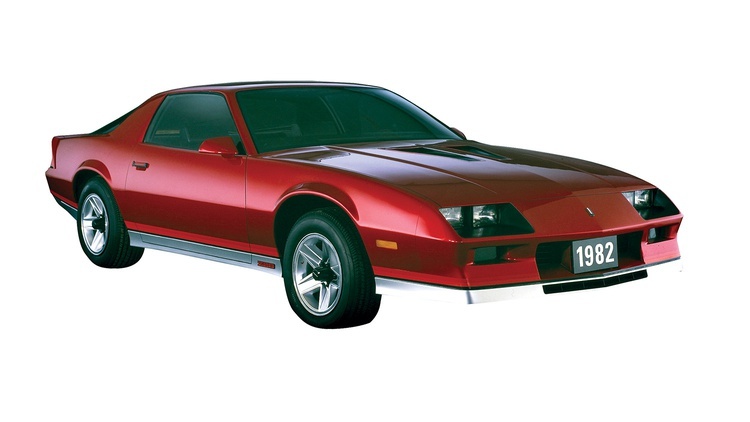 As a hired wrench in through most of the '80s, the best cars I recall were about 20 years old at the time. People I take for rides seem to be shocked that my Supra is an 87. I mean, it performs like few, if any cars of that era that had a license plate, but it still looks very much of the era. It's quite the hoot, one which at the moment appears to have developed a power steering leak. Lovely! Still makes me happy to see cars of the 80's that are driven and or loved. Not terribly common where I live, unfortunately. 1984. Chrysler introduced the minivan. 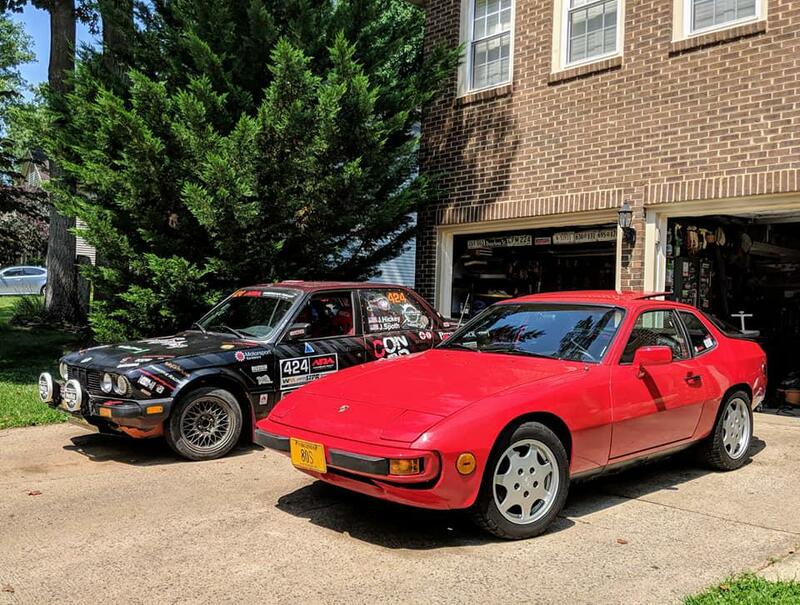 my biggest issue with the article, and it seems a lazy way to write it.. was to include two seperate listings for the same car under a different generation. Did the GTI or CRX need to be listed twice when they were not significantly different cars except in sheetmetal? OK, that was an easy one. How about Best Cars of the 1970s? That should take more work. 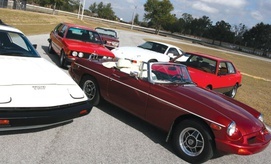 The last of the American muscle cars, Volvo 200, Mercedes w123, Saab 900, Mazda RX series.... The 70s were a great era for cars. I think 80s cars are in the perfect storm of auto enthusiasm right now. People who learned to drive during the era have the expendable income to pursue that inner 16 yr olds dream car. At the same time the cars that had their hay day during the 80s/90s are mostly too expensive to really enjoy for most. Add in the small minority of new enthusiasts are finding that a 25 year old hot hatch is way more interesting than a 15 year old Camry, and you'll start to see why some cars of the era are starting to go for real money, while events like Radwood are starting to get a real following. I think there were way too many cool cars from the 80's to be covered by a short article like this. Yay, GLH-S. Mine was #238. This was a man's track day car. A crazy young one. Audi Quattros catching fire on the hwy 5 climb in B.C. Mustang, Camaro and Firebird with 4-cylinder engines. Volvo using a French engine. I've had my (second) '89 MR2 for 18 years. If I had to sell either the MR2 or my '94 Corvette, it wouldn't be the MR2. I plan to keep this one forever. that is why I was bitching about putting two different generations of the same car in it. I know it's not a "car" per se, but I would have to put the Jeep Cherokee (XJ) in there as one of the best vehicles of the 80s. Seeing as "crossovers" and "SUVs" are pretty much just "cars" these days, looking back at the XJ it was one of the first SUVs that was regularly seen both on the trails and with soccer moms drivign them (plus all the mail carriers, forest service people, utility workers, and everyone else that needed all-terrain/all-weather capability with an enclosed storage bay. 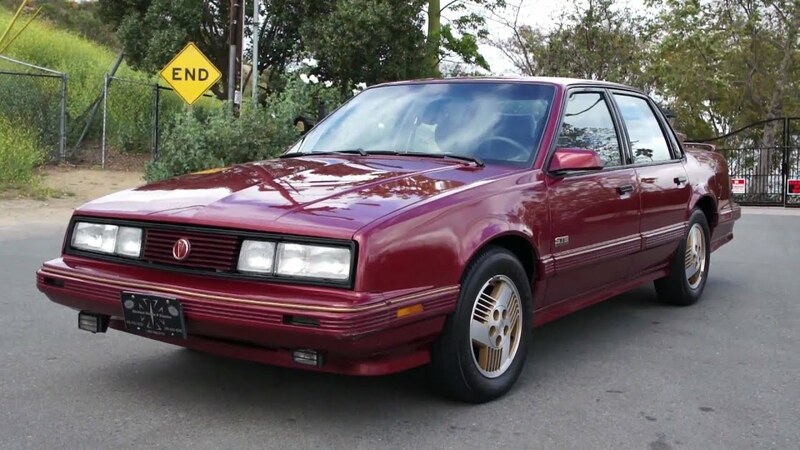 Hmm, had two different '84 Camaros (second one only because it had AC and I had moved to New Orleans after the Navy, got out of the 1st one [that wasn't even an option installed] and thought berkeley I need AC). Recently two different MR2s. Navy friend had a plain 85 CRX that he loved without even being into racing. And another Navy friend had a Shelby Charger (88 maybe). Two other Navy friends with Mustangs. Jeez this article reads like my 20s. interesting article and a good read! Also only commenting because of the Black Flag, Minor Threat and Bad Brain reference as my favorite part. What about the 4x4 cars of the 80's?....Eagle wagons & SX4s?....Subaru Justys & Brats? First generation Honda CRX/Si. Cheap, fun, and your mother would refuse to ride in it too. Once GM and Ford finally entered the minitruck scene as OEM’s, you wouldn’t have had the whole 90’s minitruck scene. Ah Minitruckin' now you're talking! They should do a special on that. Edit* This prompted me to google it and they are still making the magazine. So much for the nostalgia!